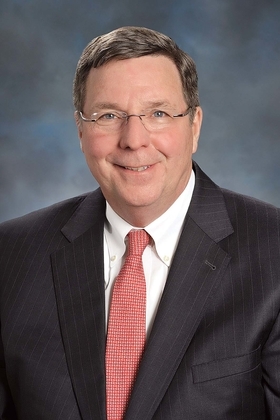 John T. Fox is president and CEO of Beaumont Health, based in Southfield, Mich.
Delivering effective, efficient and extraordinary healthcare to all requires full access to care. Health insurance, either private or government, is essential to that access, which is why Beaumont Health is urging President Donald Trump and members of Congress to tread carefully as they consider changes to the Affordable Care Act. Keeping the ACA's “10 essential benefits,” such as maternity and newborn care, mental health, substance abuse and pediatric services, will help maintain early interventions, so conditions can still be addressed earlier and at less cost. Uninterrupted care for the millions covered by the ACA must be maintained, and so should benefits such as protections against rescinding insurance benefits after a person becomes ill; coverage for children to age 26 and those with pre-existing conditions; and preventive and primary wellness coverage that's essential to healthier lives and lower healthcare costs. Support for research to eradicate diseases such as cancer and to identify best treatments for chronic conditions should not only continue but increase. To combat physician and nurse shortages, support for training of healthcare professionals must also increase. Healthcare bureaucracy can impede our ability to offer patient- and family-centered care. So any new healthcare proposal needs to streamline regulations and protocols that limit clinicians' time with patients. We implore our elected leaders to work with those of us in healthcare in determining what's best for the future of the system as they consider new policy directions. Mapping the best way forward for the health of our nation is an important, laborious task. Caregivers and those who support patient care at hospitals and health systems nationwide work collaboratively every day to improve the health and wellness of the patients and families we serve. We urge our federal and state officials to also work together in a bipartisan manner to ensure the best possible healthcare for all Americans.